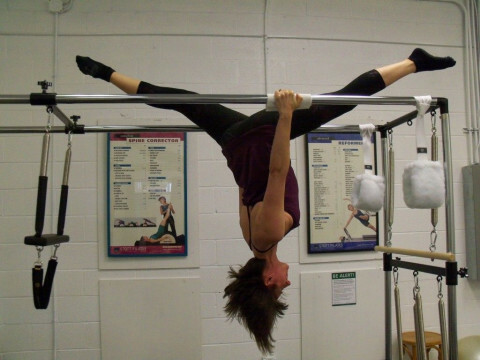 Pilates-4-Virginia Beach specializes in pilates and barre fitness. The pilates studio is fully equipped with STOTT Pilates equipment and can accommodate private, duet and small groups (limited to 4 participants). There are over 600 exercises available on the different machines and each workout is modified to meet the individual client's goals and needs. We also offer group mat pilates and barre classes in an open, spacious group exercise studio. Group classes are limited to 20 participants. The group classes are multi-level and are good for all ages and abilities. Clients can accomplish the following: lengthen and strengthen the body on the pilates equipment; focus on core conditioning and stability in the mat pilates classes; and tone and shape the body like a dancer while improving cardiovascular conditioning in the barre classes.